Valtteri Bottas followed team-mate Hamilton home for Mercedes to secure their third one-two finish in as many grands prix. But Hamilton’s superb lights-to-flag victory was overshadowed by the intra-team politics which threatens to destabilise Ferrari’s season. Hamilton roared off the start line in Shanghai to dash past pole-sitter Bottas to the opening bend. From there, he ruled the race to secure his second win in succession and assume the championship lead for the first time this season. He is six points clear of Bottas. Vettel crossed the line third, with Max Verstappen fourth for Red Bull, and Ferrari’s Charles Leclerc fifth. The young Ferrari driver will have every right to feel frustrated. Heading into Formula One’s 1,000th race, the question was whether Vettel would remain as Ferrari’s number one following Leclerc’s strong display last time out in Bahrain. 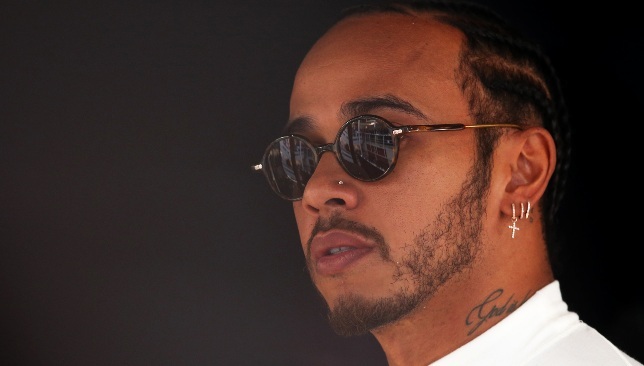 Leclerc had got ahead of Vettel at the first turn, but with Vettel less than a second behind the young Monegasque, and claiming he would be able to match leader Hamilton’s times, Ferrari instructed Leclerc to move out of his team-mate’s way. Unlike in previous regimes at Ferrari, Leclerc made his feelings clear. “But I’m pulling away [from Vettel],” he protested, before reluctantly moving aside. Vettel had clear air to catch the Mercedes duo, but failed to make any impression on the leaders. Indeed, Leclerc remained on the rear wing of his four-time world champion team-mate with Verstappen closing in on both red cars. Vettel was given the hurry-up message. Verstappen was then the first of the leading five to stop for fresh rubber. For the second time, Ferrari reacted by favouring Vettel. He was called in on the following lap for new tyres, and emerged just ahead of the Red Bull car. The gung-ho Verstappen then launched a move down the inside of Vettel at the penultimate corner – the scene of their collision here last year – but Vettel got the better exit and just about kept Verstappen at bay. All the while, Leclerc was losing valuable speed on ageing tyres. He pitted four laps later than his team-mate, but by this time he was in no-man’s land, and he rejoined the circuit an eye-watering 11 seconds behind Vettel and Verstappen in fifth. 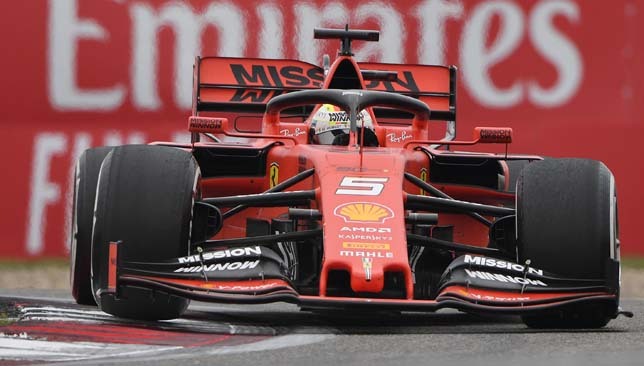 Leclerc was promoted to second when the leaders stopped again, and Ferrari may have hoped that he would get to the end. Yet after a brave, but fruitless defence against Bottas, before Vettel sailed by, Ferrari pulled him in with 14 laps to run. Out front, a peerless Hamilton was never challenged, and on a weekend dominated by numbers, the five-time champion became the second driver in history after Michael Schumacher to lead 4,000 laps. It was his sixth win here and 75th in all. Vettel failed to trouble Bottas, finishing seven seconds behind the Finn. Three races in, Hamilton and Mercedes remain the class of the field. Elsewhere, British teenager Lando Norris retired after a dramatic first-lap collision. Norris was an unwitting bystander as Daniil Kvyat sent him airborne, and temporarily onto two wheels, after he first barged into Carlos Sainz’s McLaren. The Russian was penalised with a drive-through penalty. Norris stopped for repairs, and limped on, but was unable to make it to the chequered flag. 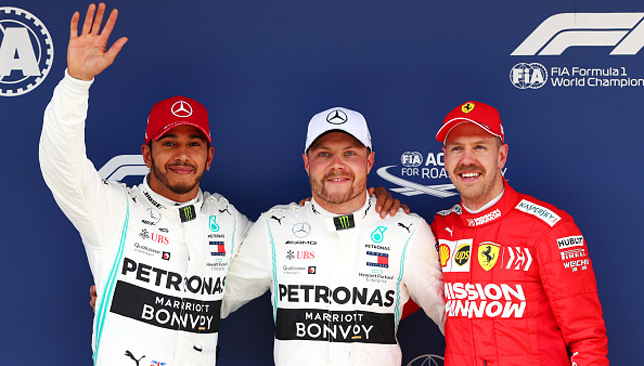 Valtteri Bottas, Lewis Hamilton and Sebastian Vettel. Lewis Hamilton was beaten to pole position for Formula One’s 1,000th race by Valtteri Bottas. The form guide indicated that Ferrari might be the team to beat there, but after they were off the pace at the last round in Bahrain, Mercedes returned to their all-conquering best. Sebastian Vettel was a third of a second down on Bottas’ Silver Arrows, with team-mate Charles Leclerc fourth. Red Bull’s Max Verstappen finished fifth. The Dutchman was furious after he failed to cross the line in time to post a final lap. Hamilton, a five-time winner in China, said: “I didn’t give up and kept pushing right to the end. Lando Norris fell at the second hurdle of qualifying for the first time in his short career. The 19-year-old collected his inaugural points with a fine drive to sixth in Bahrain a fortnight ago, but faces a fight for another top-10 finish, finishing only 15th. Norris was half-a-second slower than Carlos Sainz in the sister McLaren. The Spaniard will start just one spot higher than Norris on a disappointing afternoon for the British team. George Russell described his lap as awful, but the English novice still managed to put his under-performing Williams ahead of his team-mate Robert Kubica on the grid. Russell, who lines up in 17th, has now out-qualified the Pole, back in the sport eight years after his horror rally crash, at all three rounds. The Williams cars will not be on the final row for tomorrow’s race after London-born Alexander Albon and Alfa Romeo driver Antonio Giovinazzi played no part in qualifying. Albon, who races under the Thai flag, wrote off his Toro Rosso following a 130mph shunt on the exit of the final corner in practice on Saturday morning. Albon, 23, walked away unscathed and was given the all-clear by trackside medics, but his team were unable to get his car ready in time. Giovinazzi meanwhile was restricted to the garage with a mechanical issue.